You know it and I know it: Kelle Hampton is hugely popular. She writes marvelous fluff on her blog, Enjoying the Small Things. I think she is an adroit blogger, able to weave remarkable bits of fippery in and around drop-dead awesome photos. The result? A top-notch blog. A top-notch and popular blogger does not, however, make for a good book author. In fact, I thought Bloom was one of the worst books I've ever read. The reviews said it was "raw and honest" and I thought that was just a new way of saying "really badly written." Moreover, Kelle Hampton has a pretty charmed life over there in Florida. The birth of her daughter with Down syndrome kicked her hard, but… her daughter had no health issues and Kelle had a ton of support – both items that most parents of children with Down syndrome can't relate all that well to. Here, therefore, are my Top 5 Recommendations for books other than Bloom to read for the new parent, books that have much for new parents to relate to, and books that personally helped me a hell of a lot. This one knocked my socks off. One of my all time faves, ever, for any book category. Martha Beck is hilarious with a deep, compelling story. She mixes the spiritual a lot within her memoir – but since I'm of the spiritual bent, it worked well for me. Note: it's spiritual, not religious; Martha dropped out of the Mormon church quite a while before her son was conceived. She writes a lot about coming to terms with having a child with an intellectual disability (like me, she had a prenatal diagnosis and also like me, she considered abortion), but does so utilizing elegant prose, well crafted sentences, turns of phrase and liberal layers of humor and wit. It's a well-crafted tome clearly written by a very intelligent, well educated woman. I loved this book. I have re-read this book something like 3 times. Kathryn Lynard Soper is a practicing Mormon and went through a crisis of faith when she had her son prematurally, diagnosed at birth. This book is raw, it is honest – and those are not euphemisms for "badly written"; because this story is skillfully told, unfolding with grace. I loved the said rawness and the honesty – about her struggle with faith, with her church. With finding herself and the love for her son despite his many medical issues, post-birth. She writes of keeping her family whole, caring for her other (5 – or was it 6?) children while dealing with her son's issues, with her faith and with being completely overwhelmed. It was actually when Kathryn was dealing with all of the issues described above that she saw the need for a compilation of stories by and for parents of kids with Down syndrome. She collected those stories and edited them. The result – a must-read. There is something in there for everyone, and it is tremendously comforting to know that no matter what you feel – you are not alone. There is a tribe for you to connect with. Gifts 2 is also dynamite. George writes on par with Martha Beck – he's funny but make no mistake: this is not a light book. This is a book contains a plethora of sentences that are so richly strung, they make you stop and mull over them for minutes, days. He's definitely for the analytical types out there, the type that enjoys tearing apart history, thinking of underlying meanings. His daughter also had some health issues, which he speaks of in addition to his own struggles with depression and having a bi-racial identity. I wasn't crazy about this book when I first read it, thinking she was just trying too hard, that her sentences weren't flowing the way I thought they should. But you know what? A lot of people could relate to this story. And maybe it is good that it's on the lighter side of writing, it's easy for anyone to read. The premature birth of her twin boys led to the surprise diagnosis of one of her boys. He had a number of health issues, which she grapples with along with trying to deal with having a child with Down syndrome – and the accompanying prejudices she encounters, her struggles through small town Montana life and a child with special needs. Yeah, I know, I said "5 Books", but I have to include this one too – so consider it a bonus! Amy Julia wrote a book that many, many in the Down syndrome community can relate to as many, many in the Down syndrome community are Christian and Amy Julia comes from a very Christian place. What I – non Christian that I am – liked was that Amy Julia is the type of hard-thinking, deeply-believing Christian that goes way past the superficial in her faith – down to the actual application of teachings of Christ. She does a lot of that – faith analysis and application – in her book and frankly, I enjoyed it. For more reviews, check out the T21 Writer's Alliance. Comments I read The Year My Son and I Were Born, Gifts I and II, The Shape of the Eye, and A Good and Perfect Gift. I agree, those are great. I didn't like Bloom either. I don't think I couldn't gotten through my pregnancy without Gifts and Gifts 2! Another awesome read is the Lily Trilogy. It's fiction but it's absolutely amazing and realistic. I was actually shocked to find out it was fiction. Lily Trilogy – definitely going to look for that. Thanks for the recommendation! ANd if you are able to write a review for the T21 Website, would you? btw, I have been trying to comment (from my phone, of course) on the last few posts. I am crossing my fingers that this comment goes through since I am actually on a real computer! woo-hoo! glad it came through! I don’t know what my trip was when I read Roadmap to Holland. I don’t know why I was so hard on the author. Especially considering that there were a few things that she talked about in the book (like her trip to Costco – remember that?) that REALLY stuck in my head. I have yet to read Bloom. I don't even like her blog that much, for the very reasons you described above. She has a charmed life that I can't relate to at all (this is being written while I clean out the gunk out of Abby's eyes- both have pink eye, and next I'm going to pound on her back for twenty minutes to loosen up the crud). I can't believe I've never read the Expecting Adam. I go now to buy it (you should become an amazon associate, I could have just gone through your link….). I loved Gifts after Abby was born. I needed it so much after the first book that we bought about Down syndrome was so terrificly horrible. I liked Roadmap to Holland, too. While I respect your opinion as being your opinion. I am not sure why it is necessary to trash someone's else's experience in order to recommend someone else's. There is room for everyone's story and comparison's aren't usually helpful. Oh, is it trashing it to say that I didn’t think it was a well written book, nor one that I relate to? I didn’t think so. 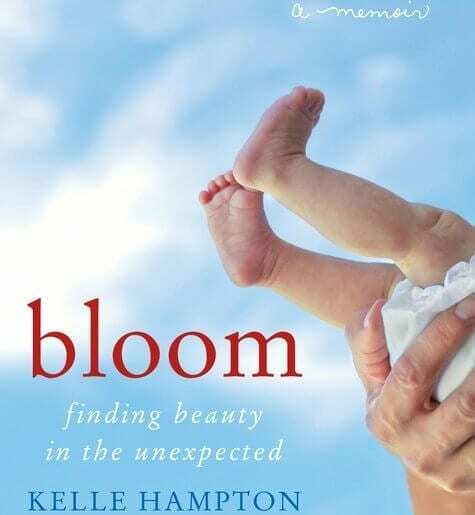 I’d just like new parents especially to be very aware of other memoirs and books related to welcoming a child with Down syndrome into the world, especially given all the attention that Bloom has received – to the point in which many of these other books aren’t even known or talked about anymore. I’m glad you liked it, especially if it helped you. I loved Expecting Adam. I was laughing out loud when she talked about how he loves to wear formal wear. It’s a good perspective, too, since it was written in the 80s before there was so much information. We’ve come a long way! Thank you for the recommendations! I’m requesting a copy of Expecting Adam for review. If I still have my copy, I’ll send it to you (= we are going through a repacking at my brother’s now, I still have some stuff). Expecting Adam is really easy to get – it’s at most libraries, etc. Martha Beck, the author, is Oprah’s career guru now – she has written quite a few other books, career-oriented, and writes regularly for Oprah. 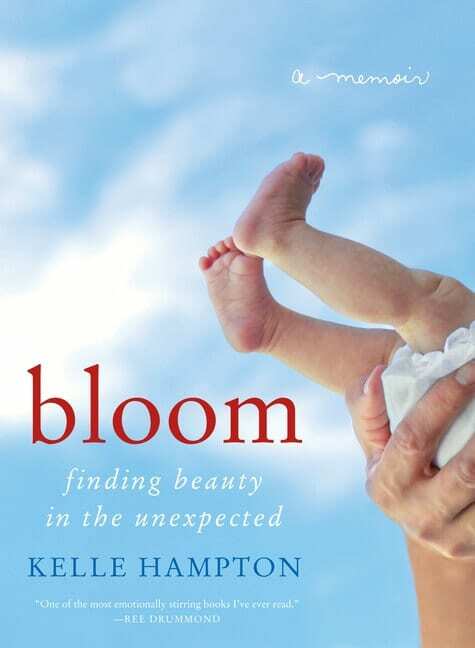 Bloom had just released when our son was diagnosed at birth with DS. Every well meaning friend directed me to Kelle’s blog and my grown daughter gave me a copy of her book. I read it cover to cover looking for hope in those first few days when my husband and I were getting so many negative reports from the health professionals. And I couldn’t find hope in her book. As a matter of fact, I felt discouraged thinking if it was so hard for her to come to terms with DS what lie ahead for the rest of us? I passed my copy on to Addison’s PT who came back with the same response. She just didn’t get it. Fortunately, my husband and I had a good long cry and then as politely as possible we told the naysayers to take a hike. We got up and started what has been a beautiful life with our son. We’ve faced challenges for sure, his deafness and his inability to swallow being high on the list, but I wouldn’t change one day of his life. And I think that is a message we need to hear when receiving a diagnosis of DS. Since then I have read just about every book I can get my hand on dealing with DS, including those listed here. As a book reviewer I have also had opportunity to preview up and coming books. By far my favorite has been Raising Henry by Rachel Adams. I haven’t read that one yet… I should. Have you read “Life With a Superhero” yet? The title is misleading; it’s absolutely excellent and right now, it’s the number one book that I would recommend for someone expecting a child with Ds. Her son is older – she leaves off with him living with his girlfriend. And she is an excellent writer!